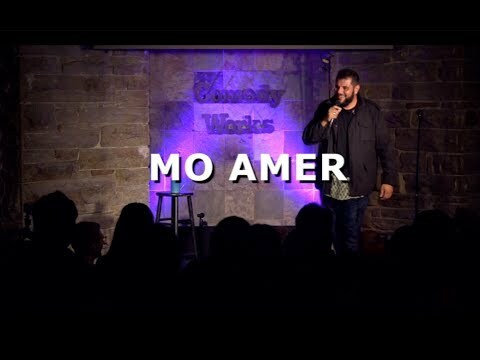 Mo Amer’s comedy is exactly what the world needs right now. As a pioneer of Arab-American stand-up, he has already cemented his stature as a truly original voice in comedy. Mo has opened for stand-up legend Dave Chappelle over 100 times (including at the prestigious Just For Laughs Festival in Montreal in 2015). Watching Mo live is a unique experience that brings global news headlines to life. Through a hilarious blend of improvisation and personal story telling, Mo reveals his life’s curious tale. Mo has performed in over two-dozen countries on five continents. He performed as the first and only Arab-American refugee comic to perform for U.S. and coalition troops overseas, as well as with Allah Made Me Funny – The Official Muslim Comedy Tour. Mo has had numerous television appearances including Comedy Central’s @midnight, his late night debut on CBS’s Late Night with Stephen Colbert, and recently made his TV acting debut on an episode of HBO’s Crashing. He's also appeared on Bassem Youssef’s Al-Bernameg (The Daily Show of Egypt) and served as co-host of Comedy Central Presents (CC Arabia). Mo has been interviewed by over 100 major world media publications including The New York Times, Rolling Stone, and The Guardian. He was listed in Rolling Stones 2017 “Comedians You Should Know.” Mo also has an original sitcom in development (based on his stand-up) and plans to record his first one-hour stand-up special for television later this year.